The Starry Messenger is Phase I of the Electronic History of Astronomy developed in the Whipple Museum of the History of Science and the Department of History and Philosophy of Science. This phase was directed by Dr Sachiko Kusukawa and Dr Liba Taub, and supported by funding from Trinity College, Cambridge. Dr David Chart was the Project Manager. The aim of this project is to make available electronically some aspects of the early history of astronomy for the use of students studying the History and Philosophy of Science in the University. The project has aspired to be 'educational' in another sense in that graduate students in the Department have contributed to its construction. By drawing on the rich collection of instruments and books in the Whipple Collection, the University Library and the Wren Library, we have sought to produce a history of astronomy which focuses on the uses of astronomy and its instruments, as well as on the practitioners of astronomy. We hope that this project goes some way towards illustrating the variety of uses (astrology, weather prediction, calendar reform) and inspirations (e.g. poetry), people in past societies and cultures found in astronomy. The whole site is written in strict HTML 4.0, using CSS for formatting. You may not see formatting on older browsers, and some browsers will get it wrong. The hope is that, as browsers develop, they will be able to display this properly, and that the pages will not be rendered unusable by advances in technology. They should also display properly in any browser, and be easily usable by those with disabilities. There are no links to external sites, as these pages will not be maintained on a regular basis. All text, images, and layout in Starry Messenger are copyright 1999-2000, the Department of History and Philosophy of Science of the University of Cambridge, the individual authors, and libraries as noted for particular images. This page is Copyright 1999-2000, the Department of History and Philosophy of Science of the University of Cambridge. All Rights Reserved. 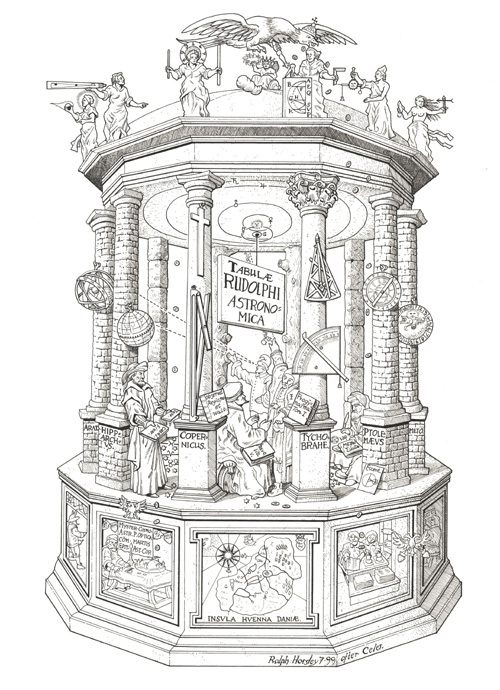 The image of the Temple of Urania on this page is Copyright 1999, the Department of History and Philosophy of Science of the University of Cambridge and Ralph Horsley. All Rights Reserved. This website is no longer being updated.